I’ll Take A Side Of God Please! Nowhere in Scripture do I see a “balanced life with a little bit of God added in” as an ideal for us to emulate. Yet when I look at our churches, this is exactly what I see: a lot of people who have added Jesus to their lives. People who have, in a sense, asked Him to join them on their life journey, to follow them wherever they feel they should go, rather than following Him as we are commanded. The God of the universe is not something we can just add to our lives and keep on as we did before. The Spirit who raised Christ from the dead is not someone we can just call on when we want a little extra power in our lives. Jesus Christ did not die in order to follow us. He died and rose again so that we could forget everything else and follow Him to the cross, to true Life. 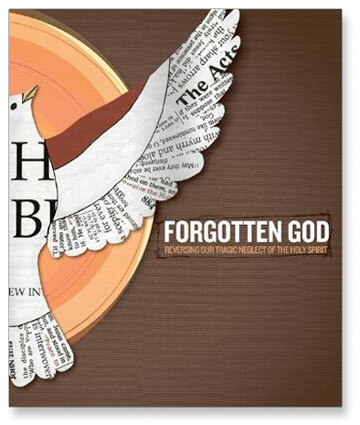 –Francis Chan author of Forgotten God Reversing Our Tragic Neglect Of The Holy Spirit. EXANCTLY! God cannot/should not/ must not be just part of our life. He must be our all where our dreams and desires adhere to His will and purpose for us on this earth! OMG…the teacher can’t spell today…EXACTLY! God is the center, fulcrum and balance point for the rest of creation. Anyone who does not work from this premise, is already out of balance.